I am really excited to see this film. I saw the first trailer for The Theory of Everything and I immediately became interested in seeing it. The story of one of the world's most brilliant scientists Steven Hawking looked fascinating and the performance by Eddie Redmayne looked amazing. This second trailer simply reconfirms that thought for me. I think Redmayne's performance could potentially get him an Oscar nomination just from the emotion he puts into the role. And at no point is there an disrespect for Hawking's condition but they show how wonderful of a person he is and how brilliant of a mind he has. The film looks as if it's portrayal of overcoming a struggle such as this condition will be very fascinating and I am excited to see the movie. What do you think? Did you like the trailer? 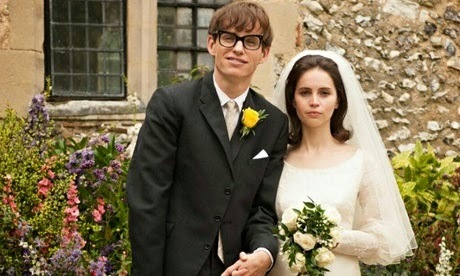 Are you looking forward to The Theory of Everything? Leave your thoughts in the comments section below.